Those who want to build macroeconomics on microfoundations usually maintain that the only robust policies and institutions are those based on rational expectations and representative actors. As yours truly has tried to show in On the use and misuse of theories and models in economics there is really no support for this conviction at all. On the contrary. If we want to have anything of interest to say on real economies, financial crisis and the decisions and choices real people make, it is high time to place macroeconomic models building on representative actors and rational expectations microfoundations in the dustbin of pseudo-science. 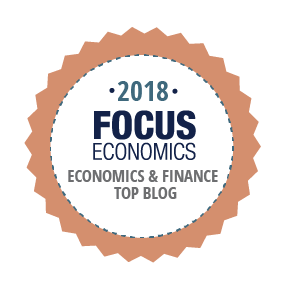 For if this microfounded macroeconomics has nothing to say about the real world and the economic problems out there, why should we care about it? The final court of appeal for macroeconomic models is the real world, and as long as no convincing justification is put forward for how the inferential bridging de facto is made, macroeconomic modelbuilding is little more than hand-waving that give us a rather little warrant for making inductive inferences from models to real world target systems. If substantive questions about the real world are being posed, it is the formalistic-mathematical representations utilized to analyze them that have to match reality, not the other way around. The real macroeconomic challenge is to accept uncertainty and still try to explain why economic transactions take place — instead of simply conjuring the problem away by assuming rational expectations and treating uncertainty as if it was possible to reduce it to stochastic risk. That is scientific cheating. And it has been going on for too long now. In loving memory of Kristina — beloved wife and mother of David and Tora. To understand real world ‘non-routine’ decisions and unforeseeable changes in behaviour, ergodic probability distributions are of no avail. In a world full of genuine uncertainty — where real historical time rules the roost — the probabilities that ruled the past are not necessarily those that will rule the future. We recommend dropping the NHST [null hypothesis significance testing] paradigm — and the p-value thresholds associated with it — as the default statistical paradigm for research, publication, and discovery in the biomedical and social sciences. Specifically, rather than allowing statistical signicance as determined by p < 0.05 (or some other statistical threshold) to serve as a lexicographic decision rule in scientic publication and statistical decision making more broadly as per the status quo, we propose that the p-value be demoted from its threshold screening role and instead, treated continuously, be considered along with the neglected factors [such factors as prior and related evidence, plausibility of mechanism, study design and data quality, real world costs and benefits, novelty of finding, and other factors that vary by research domain] as just one among many pieces of evidence. We make this recommendation for three broad reasons. 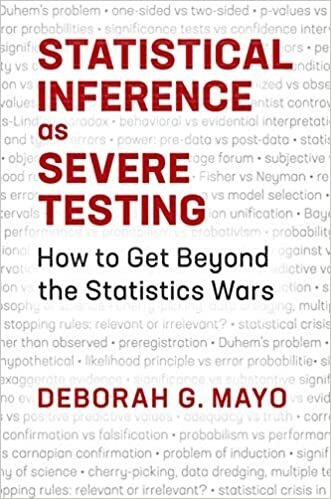 First, in the biomedical and social sciences, the sharp point null hypothesis of zero effect and zero systematic error used in the overwhelming majority of applications is generally not of interest because it is generally implausible. Second, the standard use of NHST — to take the rejection of this straw man sharp point null hypothesis as positive or even definitive evidence in favor of some preferredalternative hypothesis — is a logical fallacy that routinely results in erroneous scientic reasoning even by experienced scientists and statisticians. Third, p-value and other statistical thresholds encourage researchers to study and report single comparisons rather than focusing on the totality of their data and results. The problem with economists is not that they make assumptions. After all, any theory or model will have to rely on simplifying assumptions … But when critical assumptions are made just to circumvent well-identified complexities in the quest to build elegant theories, such theories will simply end up being elegant fantasies. Neoliberal subjectivity arises from the intricate pedagogy of game theory that comes to the fore in the Prisoner’s Dilemma game and is interchangeable with contemporary paradigmatic instrumental rationality. 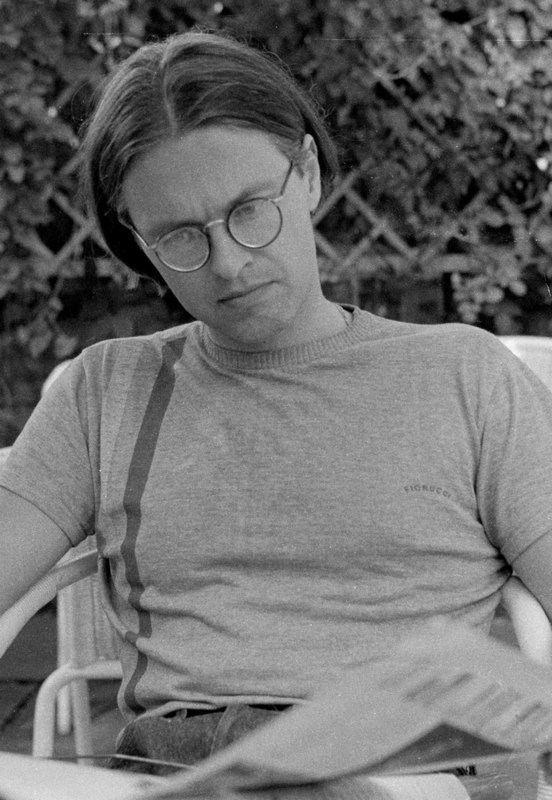 Rational choice is promoted as an exhaustive science of decision making, but only by smuggling in a characteristic​ confusion​ suggesting​ that everything of value​ to agents can be reflected in their appraisal of existential worth even though this is patently not the case in life viewed as a ‘fixed game.’ Without a critical and scrupulous pedagogy that carefully identifies as optional the assumptions necessary to operationalize strategic rationality, a new neoliberal understanding of capitalism will dominate the worldview​ of the student of game theory and inhabitant of neoliberal institutions. No matter how precise and rigorous the analysis, and no matter how hard one tries to cast the argument in modern mathematical form, they do not push economic science forwards one single millimetre if they do not stand the acid test of relevance to the target. 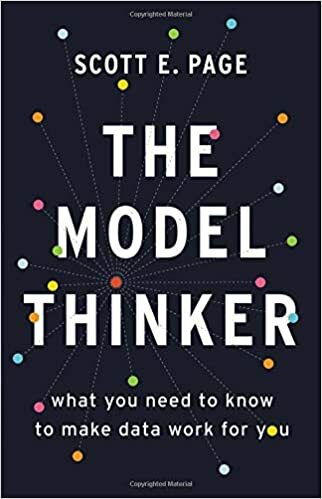 No matter how clear, precise, rigorous or certain the inferences delivered inside these models are, they do not say anything about real-world economies. As Kornik argues, using DSGE models ”creates a bias towards models that have a well-behaved ergodic steady state.” Since we know that most real-world processes do not follow an ergodic distribution, this is, to say the least, problematic. To understand real world ‘non-routine’ decisions and unforeseeable changes in behaviour, stationary probability distributions are of no avail. In a world full of genuine uncertainty — where real historical time rules the roost — the probabilities that ruled the past are not those that will rule the future. Imposing invalid probabilistic assumptions on the data make all DSGE models statistically misspecified. An absolutely fabulous speech — and Soskice and Carlin’s textbook Macroeconomics: Institutions, Instability, and the Financial System — that Dullien mentions at the beginning of his speech — is really a very good example of the problems you run into if you want to be ‘pluralist’ within the mainstream pack. 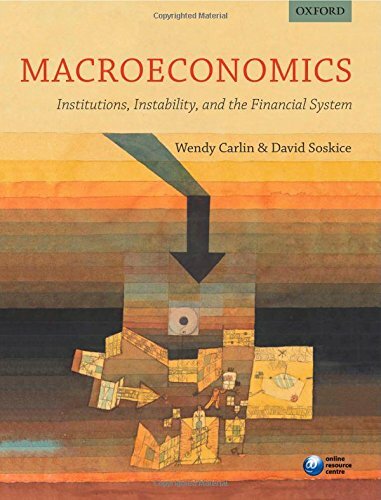 Carlin and Soskice explicitly adapts a ‘New Keynesian’ framework including price rigidities and adding a financial system to the usual neoclassical macroeconomic set-up. But although I find things like the latter amendment an improvement, it’s definitely more difficult to swallow their methodological stance, and especially their non-problematized acceptance of the need for macroeconomic microfoundations. Carlin & Soskice seem to share Krugman’s attitude. From the first page of the book, they start to elaborate their preferred 3-equations ‘New Keynesian’ macromodel. And after twenty-two pages, they have already come to specifying the demand side with the help of the Permanent Income Hypothesis and its Euler equations. But if people — not the representative agent — at least sometimes can’t help being off their labour supply curve — as in the real world — then what are these hordes of Euler equations that you find ad nauseam in these ‘New Keynesian’ macromodels gonna help us? Yours truly’s doubts regarding the ‘New Keynesian’ modellers ‘ obsession with Euler equations is basically that, as with so many other assumptions in ‘modern’ macroeconomics, the Euler equations don’t fit reality. All empirical sciences use simplifying or unrealistic assumptions in their modelling activities. That is not the issue – as long as the assumptions made are not unrealistic in the wrong way or for the wrong reasons. If we cannot show that the mechanisms or causes we isolate and handle in our models are stable, in the sense that what when we export them from our models to our target systems they do not change from one situation to another, then they only hold under ceteris paribus conditions and a fortiori are of limited value for our understanding, explanation and prediction of our real world target system. No matter how many convoluted refinements of concepts made in the model, if the ”successive approximations” do not result in models similar to reality in the appropriate respects (such as structure, isomorphism etc), the surrogate system becomes a substitute system that does not bridge to the world but rather misses its target. From this methodological perspective, yours truly has to conclude that Carlin’s and Soskice’s microfounded macroeconomic model is a rather unimpressive attempt at legitimizing using fictitious idealizations — such as Euler equations — for reasons more to do with model tractability than with a genuine interest in understanding and explaining features of real economies. Running with the mainstream pack is not a good idea if you want to develop realist and relevant economics. 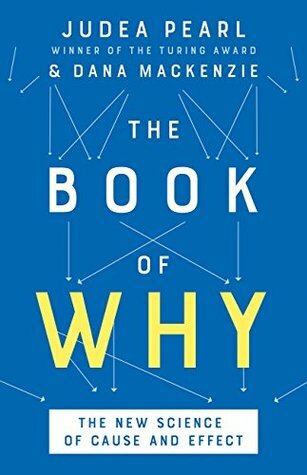 It is the somewhat gratifying lesson of Philip Tetlock’s new book that people who make prediction their business — people who appear as experts on television, get quoted in newspaper articles, advise governments and businesses, and participate in punditry roundtables — are no better than the rest of us. When they’re wrong, they’re rarely held accountable, and they rarely admit it, either. They insist that they were just off on timing, or blindsided by an improbable event, or almost right, or wrong for the right reasons. They have the same repertoire of self-justifications that everyone has, and are no more inclined than anyone else to revise their beliefs about the way the world works, or ought to work, just because they made a mistake. No one is paying you for your gratuitous opinions about other people, but the experts are being paid, and Tetlock claims that the better known and more frequently quoted they are, the less reliable their guesses about the future are likely to be. The accuracy of an expert’s predictions actually has an inverse relationship to his or her self-confidence, renown, and, beyond a certain point, depth of knowledge. People who follow current events by reading the papers and newsmagazines regularly can guess what is likely to happen about as accurately as the specialists whom the papers quote. Our system of expertise is completely inside out: it rewards bad judgments over good ones. Mainstream neoclassical economists often maintain – usually referring to the methodological individualism of Milton Friedman — that it doesn’t matter if the assumptions of the models they use are realistic or not. What matters is if the predictions are right or not. But, if so, then the only conclusion we can make is — throw away the garbage! Because, oh dear, oh dear, how wrong they have been! In other words — the ”rigorous” and ”precise” macroeconomic mathematical-statistical forecasting models were wrong. And the rest of us have to pay. In New York State, Section 899 of the Code of Criminal Procedure provides that persons “Pretending to Forecast the Future” shall be considered disorderly under subdivision 3, Section 901 of the Code and liable to a fine of $250 and/or six months in prison. Although the law does not apply to ”ecclesiastical bodies acting in good faith and without fees,” I’m not sure where that leaves macroeconomic model-builders and other forecasters. The growth of the Internet will slow drastically, as the flaw in ”Metcalfe’s law”–which states that the number of potential connections in a network is proportional to the square of the number of participants–becomes apparent: most people have nothing to say to each other! By 2005 or so, it will become clear that the Internet’s impact on the economy has been no greater than the fax machine’s. The economic implications of gender discrimination are most serious. To deny women is to deprive a country of labor​ and talent, but — even worse — to undermine the drive to achievement of boys and men. One cannot rear young people in such wise that half of them think themselves superior by biology, without dulling ambition and devaluing accomplishment … To be sure, any society will have its achievers no matter what, if only because it has its own division of tasks and spoils. But it cannot compete with other societies that ask performance from the full pool of talent. In general, the best clue to a nation’s growth and development potential is the status and role of women. This is the greatest handicap of Muslim Middle Eastern societies today, the flaw that most bars them from modernity. Any economist who thinks that growth and development have​ little or nothing to do with cultural and religious imperatives ought to read Landes’ masterful survey of what makes some countries so rich and others so poor. Back in the 80’s yours truly had the pleasure of studying German at Universität Wien. I’ve been back in Vienna a couple of times since then. A wonderful town full of history — and Kaffeehäuser! This is probably also the reason why Stiglitz’ critique doesn’t go far enough. New Classical-Real Business Cycles-DSGE-New Keynesian microfounded macromodels try to describe and analyze complex and heterogeneous real economies with a single rational-expectations-robot-imitation-representative-agent. That is, with something that has absolutely nothing to do with reality. And — worse still — something that is not even amenable to the kind of general equilibrium analysis that they are thought to give a foundation for since SMD unequivocally showed that there did not exist any condition by which assumptions on individuals would guarantee either stability or uniqueness of the equilibrium solution. Opting for cloned representative agents that are all identical is of course not a real solution to the fallacy of composition that SMD points to. Representative agent models are — as I have argued at length here — rather an evasion whereby issues of distribution, coordination, heterogeneity — everything that really defines macroeconomics — are swept under the rug. Of course, most macroeconomists know that to use a representative agent is a flagrantly illegitimate method of ignoring real aggregation issues. They keep on with their business, nevertheless, just because it significantly simplifies what they are doing. It reminds — not so little — of the drunkard who has lost his keys in some dark place and deliberately chooses to look for them under a neighbouring street light just because it is easier to see there. Almost a century and a half after Léon Walras founded general equilibrium theory, economists still have not been able to show that markets lead economies to equilibria. We do know that — under very restrictive assumptions — equilibria do exist, are unique and are Pareto-efficient. But — what good does that do? As long as we cannot show that there are convincing reasons to suppose there are forces which lead economies to equilibria — the value of general equilibrium theory is nil. As long as we cannot really demonstrate that there are forces operating — under reasonable, relevant and at least mildly realistic conditions — at moving markets to equilibria, there cannot really be any sustainable reason for anyone to pay any interest or attention to this theory. A stability that can only be proved by assuming Santa Claus conditions is of no avail. Most people do not believe in Santa Claus anymore. And for good reasons — Santa Claus is for kids. Continuing to model a world full of agents behaving as economists — ‘often wrong, but never uncertain’ — and still not being able to show that the system under reasonable assumptions converges to equilibrium (or simply assume the problem away), is a gross misallocation of intellectual resources and time. The very fact that we observe, in reality, increasing amounts of resources being devoted to informational acquisition and processing implies that the standard general equilibrium model and the standard models of financial markets are failing to capture important aspects of reality.